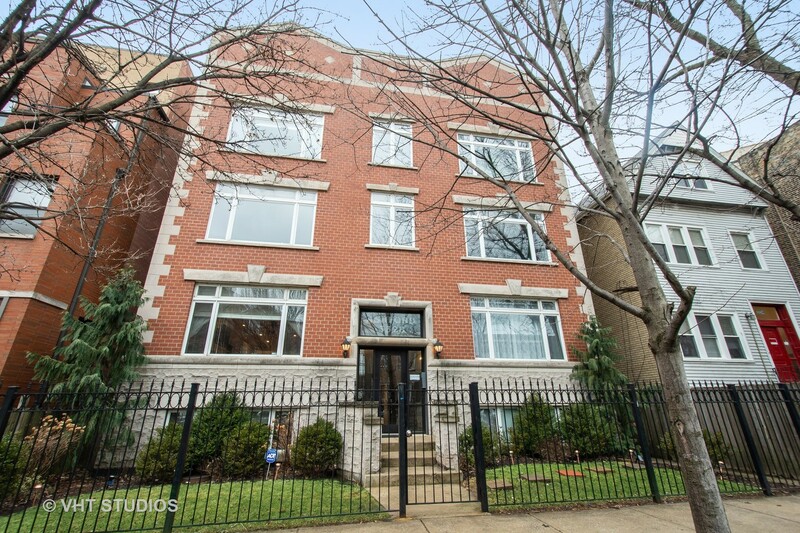 This impressively spacious duplex down will be love at first sight! Truly unlike anything on the market- extra wide/large spaces throughout. Enjoy sizable living spaces, amazing closets/storage, hardwood & crown molding throughout main level. Kitchen features quartz counter tops, stainless steel appliances & generous counter space. Great room can accommodate two separate living OR dining spaces. Fireplace completes the room for a most cozy & perfect entertaining/relaxing space. Master suite boasts his & hers professionally organized walk-in closets. En-suite bath has double bowl vanity & jetted tub. Lovely 2nd bedroom on 1st level w/ walk in closet. Lower level offers an extensive family room with a massive storage closet(17x8 - approx 4ft high). Lower level also includes Bedrooms 3 & 4, full bathroom & separate laundry room w/ sink. Spacious Deck. Garage parking. Nettelhorst Elementary. Good side of Sheffield. Steps to Whole Foods, Brown/Red Line, Starbucks. Hurry! Property information last modified by seller on Friday, March 29, 2019, 11:07 AM CDT. Information Deemed Reliable But Not Guaranteed. Unauthorized duplication, use, or linkage is prohibited. The information on this web site is for personal, non-commercial use and may not be used for any purpose other than to identify prospective properties consumers may be interested in purchasing. Monthly Payment Calculator results are for illustrative purposes only, not a financing opportunity; calculations assume a 30-year fixed-rate mortgage and do not include closing and other costs. Property Tax on NEW properties is estimated at 1.5% of Listing Price for payment calculation purposes; actual value may be higher or lower.